Cator Shachoy is a Craniosacral Practitioner, Iyengar trained Yoga Instructor, and Mindfulness Teacher. A true healer, her work is unique in both the depth and breadth of what she has to offer. Cator works with adults, children, and infants to care for and resolve a wide range of health conditions and life issues. Cator provides hands on healing through Cranial sessions, and gives people tools to help themselves through creating a personal yoga & mindfulness program. Her work can be considered Holistic Health for the Whole Family. Cator began practicing and studying each of these disciplines in 1990 to heal her own chronic illness. Through regular training she regained her strength and vitality. She is a certified practitioner of Craniosacral Bodywork through the Milne Institute, with a specialty in pediatrics with Ben Shield. She has studied Biodynamic Craniosacral with Michael Shea. Cator is an E-RYT 500 yoga instructor through Yoga Alliance. She completed teacher training at both the Iyengar Institute of San Francisco and Kripalu Center. 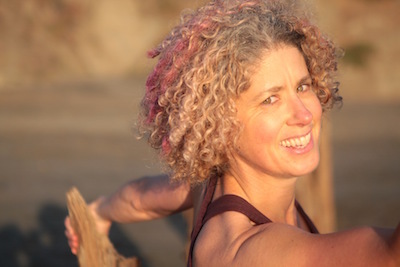 She has worked extensively with senior Iyengar Yoga teachers here in the bay area. Cator is a Mindfulness Based Stress Reduction (MBSR) Instructor, and completed teacher training at the Center for Mindfulness in Worcester, MA. She is also the founder of Youth Yoga Dharma, a 501c-3 nonprofit dedicated to offering youth the skills of yoga & mindfulness.